Photos taken October 20, 2004. 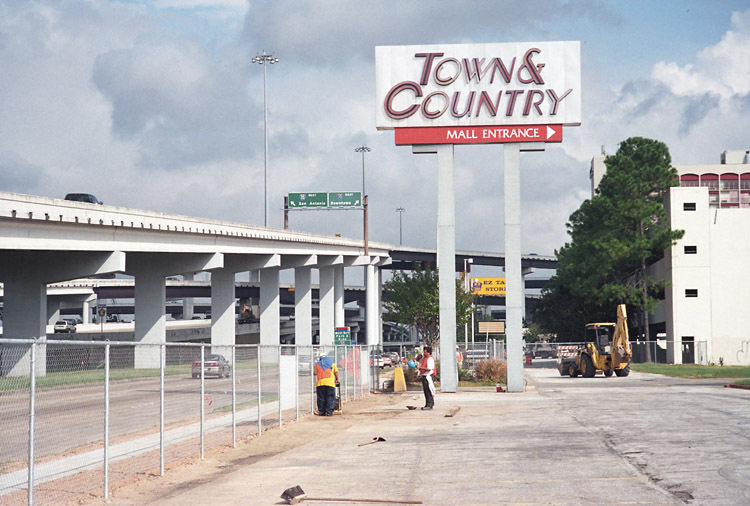 The intersection of Interstate 10 west and Beltway 8 (Sam Houston Tollway) in west Houston is the scene of two record-breaking demolition projects: the shortest-lived multi-level interchange in the United States, and the shortest-lived major suburban mall in Texas. 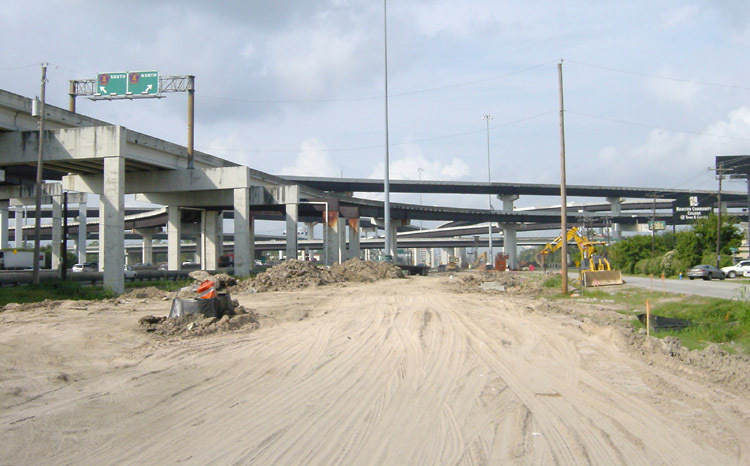 The demolition of the interchange will occur slowly over the next 4 years, and major ramp removal will not occur until around 2007. Right now the old railroad bridge is being removed. Right now the interior is being gutted and the mall and anchor stores should be subject to the wrecking ball soon. Town and Country mall opened in 1983 and featured 4 anchors: Niemann Marcus (still open), Dillards, Lord & Taylor, and (I think) J.C. Penneys. The mall itself had 3 levels and was rather compact by suburban mall standards. Due to limited space, there were 3 parking garages around the facility. The mall was never successful. 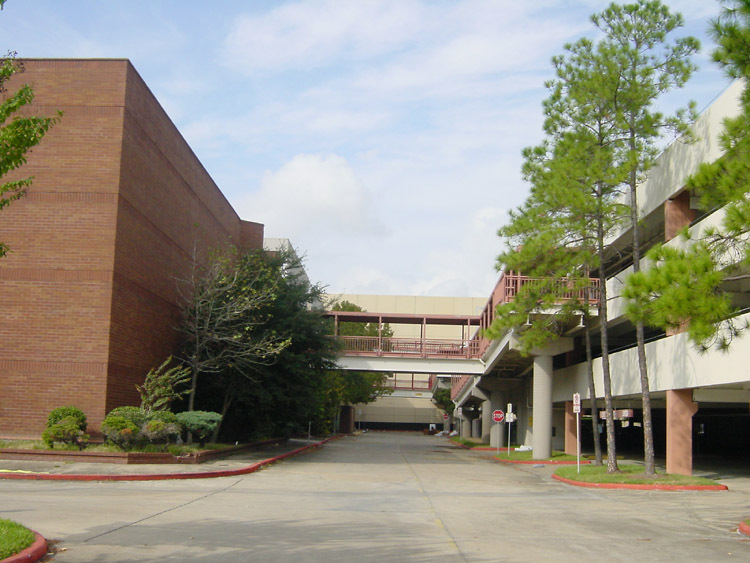 With Memorial City Mall just a mile away, the area was "overmalled" in spite of the high-income populations nearby. 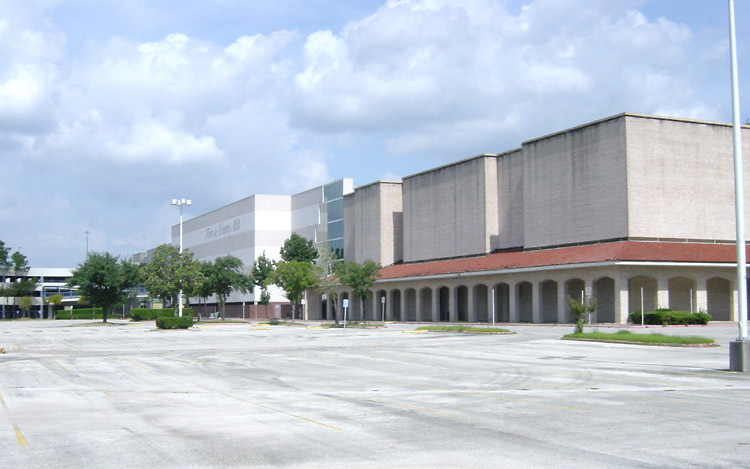 The owners of the mall tried to find alternate uses for the facility in recent years, but finally gave up and decided to tear it down. 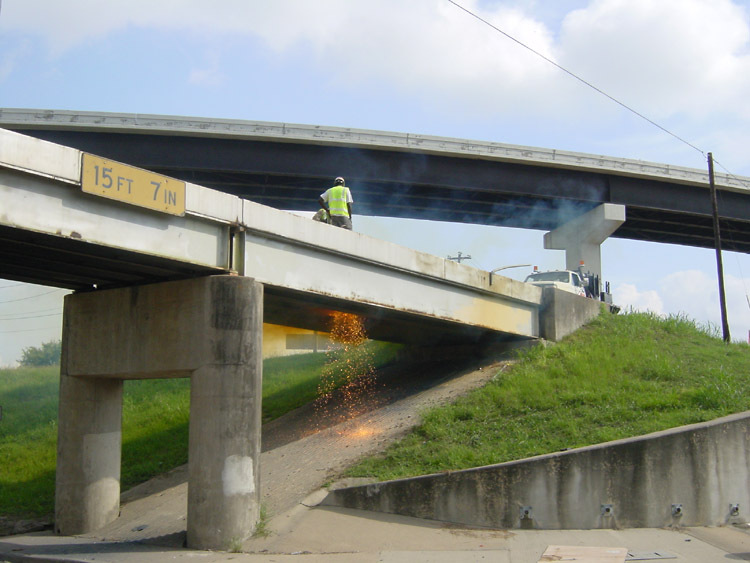 Workers were using torches to cut of the railroad bridge. Another view of torch cutters. Looking west at the piers for the railroad bridge that has been removed. 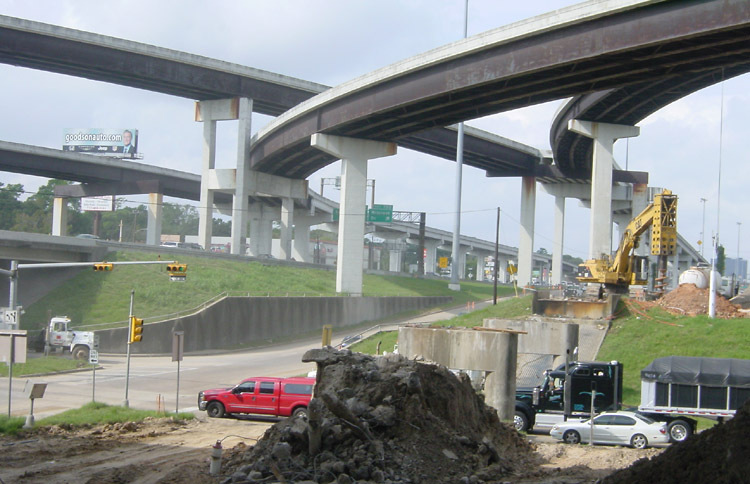 Looking west on the northeast side of the interchange where initial earthwork is underway. The future westbound main lanes will be in this location. Looking northwest. 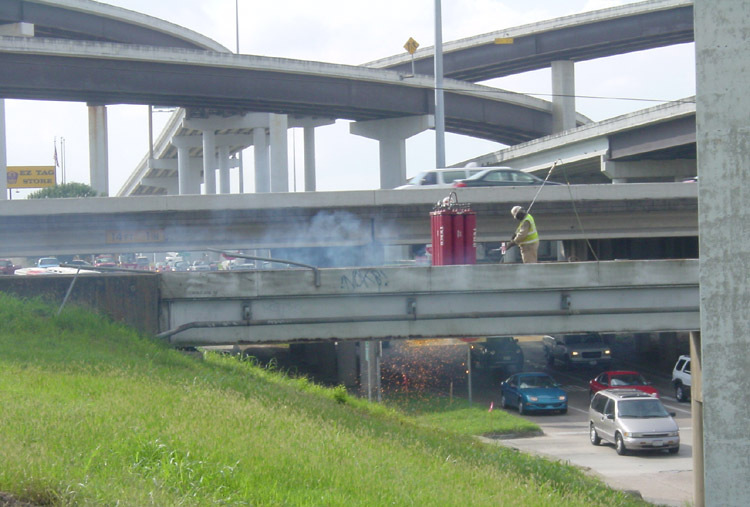 Demolition of the main ramps won't hit full speed until 2007. 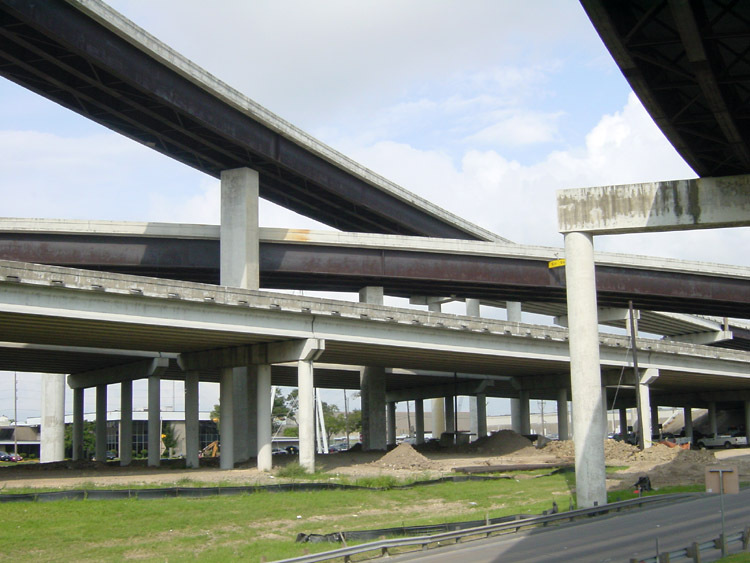 Although the interchange was completed in 1989, it doesn't look very good because the original paint is peeling and discolored, and there never was a repainting. Looking north along the BW8 feeder. 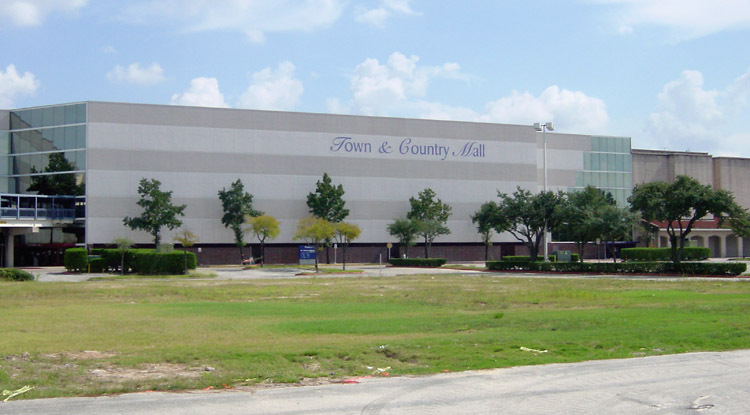 Town and Country Mall is at the southeast corner of the intersection. The area is fenced off and workers were busy cutting up the asphalt parking lot pavement. 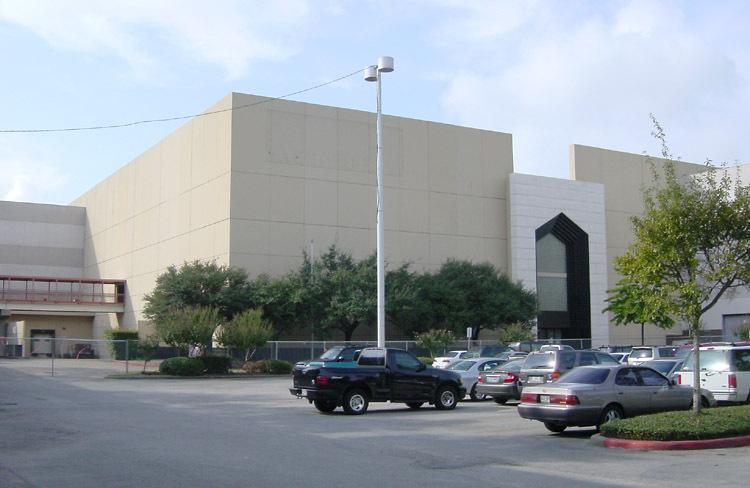 Looking east at the mall from Beltway 8. Looking north-northeast at the mall. 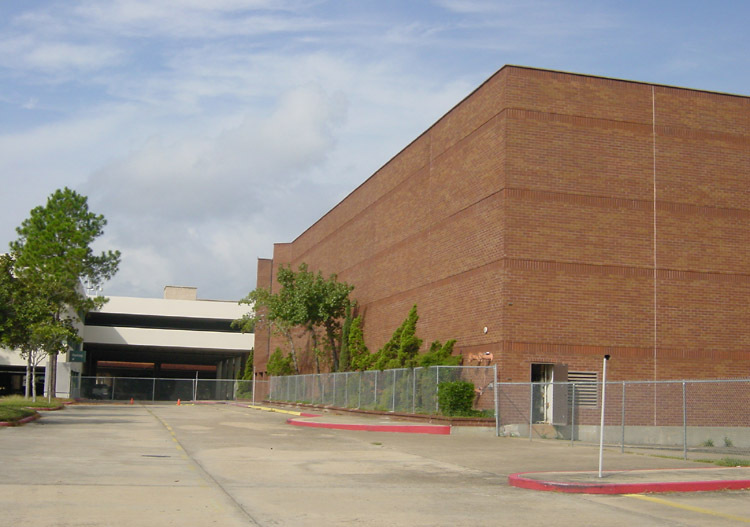 In the foreground is the structure that once housed Dillards. I shopped there frequently in the 1990s. Looking west at the structure that originally housed Marshall fields and subsequently became a Saks Fifth Avenue. It will be demolished. Looking west on the east side of the mall. The red brick structure once housed JC Penneys, I think. It appears that the parking garage will also be demolished. Looking west on the southeast side of the mall. This shows the former Penneys and another parking garage.